more maps and bigger arcade maps.. arcade version of capital supremacy. more and bigger arcade for Starfighter arcade gaming. You do not have any clue on how to make a great STAR WARS game that sure. More arcade maps and make the arcade (also the arcade space maps) bigger so one can fly starfighters and use walkers in the arcade game please. So you just avoid ARC Troopers Rex and Cody..
off topic yet hmm maybe not. Since we got the great Anakin Skywalker now.. I think it would be cool and appropriate to add a new Battle Scenario to the selection: called "Order 66" taking place in the Jedi Temple on Coruscant. I am looking for an update saying : more and bigger maps. When ever that happens.. When will you publish a new survey ? It was great idea because it helped me among to express our wishes and ideas regarding BF2 also I could imagine it help you knowing what would be succesful and popular for the game and whats not. I wish to have bigger single player maps among those Geonosis full size. Hi, I heard a little bird sing .. something about big scale maps for multi player and single player. Could anyone enlighten me. Is this something that comes ? and when will it come? It makes me glad to hear but only if this is a sure thing. thank you. I will hide the chat so I do not read this rude persons bad comments ever again. Right or wrong. Attacking people like I was is still wrong and not ok. I will orbey these rules though. what happen to the droid speeders STAPs, STABS ..?? 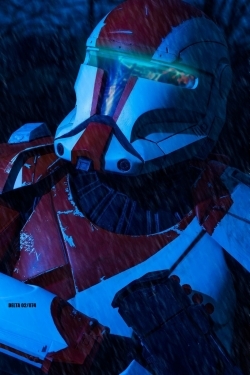 What happen to your promise of fixing the clones so that 327th look correct? ?